Another appearance has been confirmed for SmackDown 1000. WWE.com announced that Edge will be appearing on next week's episode and hosting a "Cutting Edge" segment. Further details about the segment have yet to be revealed. PWInsider reported last month that Edge had been booked for SmackDown 1000. At that time, Edge claimed that the appearance was "news to me." 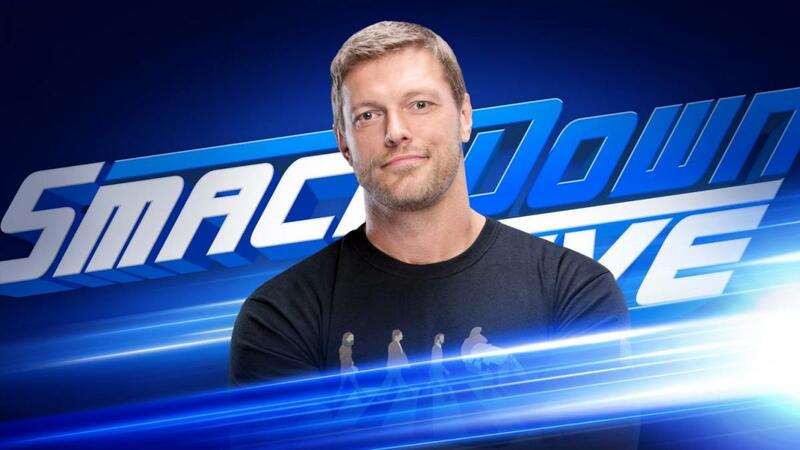 Edge was also part of SmackDown's 900th episode in November 2016. He hosted a Cutting Edge that built to that year's Survivor Series pay-per-view and featured The Undertaker addressing Team SmackDown. SmackDown 1000 is taking place at the Capital One Arena in Washington D.C. next Tuesday. The Undertaker and Evolution (Triple H, Batista, Randy Orton, and Ric Flair) have been announced for the show, along with Rey Mysterio facing Shinsuke Nakamura in a World Cup qualifying match. The Capital One Arena is also advertising Michelle McCool, Torrie Wilson, Teddy Long, and Vickie Guerrero for SmackDown 1000.